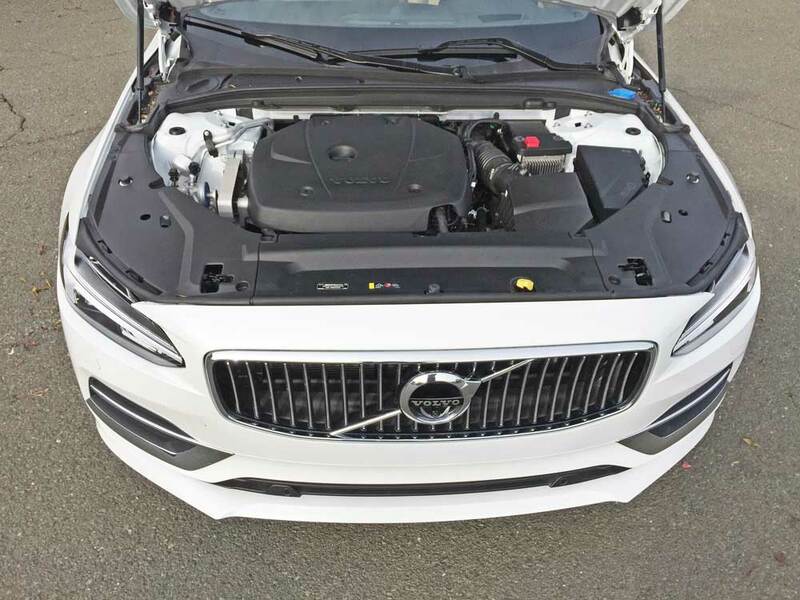 The Volvo S90 is a front engine, AWD, sophisticated 5-passenger, four-door luxury sedan that first appeared as part of the Volvo stable in 2017 to replace the aging S80. It is a stylish vehicle with a back sat that rivals many limos. Two four-cylinder engines are available: a 250 horsepower turbocharged T5; or a 2.0-liter turbocharged and supercharged T6 engine that pumps out 316 horses. Both powerplants feature auto stop/start technology and mate to a smooth eight-speed Geartronic automatic transmission with adjustable drive mode settings that gears the motive force to Volvo’s All-Wheel Drive system with instant traction. 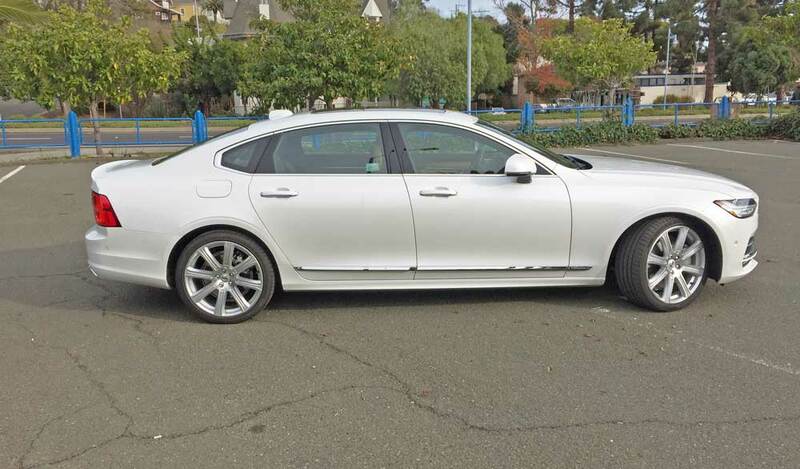 All S90s come with a semi-autonomous driving mode and automated emergency braking. A panoramic sunroof, a navigation system, and Apple CarPlay and Android Auto connectivity are standard fare as well. There’s also a 400 horsepower Plug-in Hybrid T8 powertrain available. 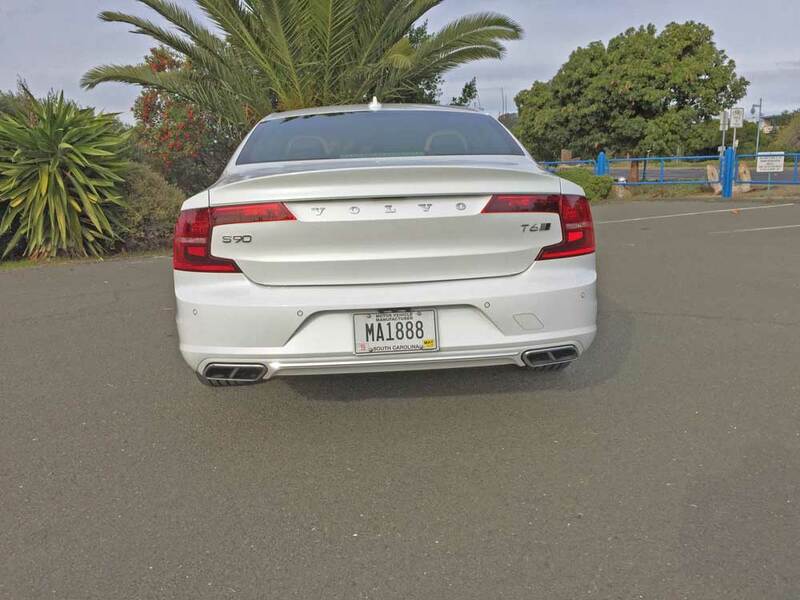 The S90 AWD Inscription Volvo ranks as the mid-range model. The new S90 T6 is built on the same Scalable Product Architecture platform as the XC90, also sharing the XC90’s supercharged and turbocharged inline-four-cylinder engine. 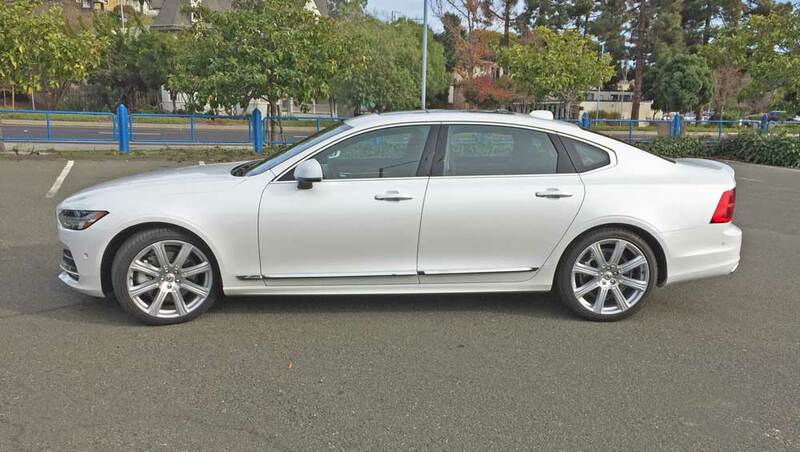 Trim levels or models include: a Momentum edition, and a more elegant, upscale Inscription version S90. The S90 now offers an elegant and viable alternative to the menu of both domestic and European models available and generally at a more reasonable price point. 2018 saw the S90 add 4.7-inches to its wheelbase, providing an additional 4.5-inches of rear seat legroom. 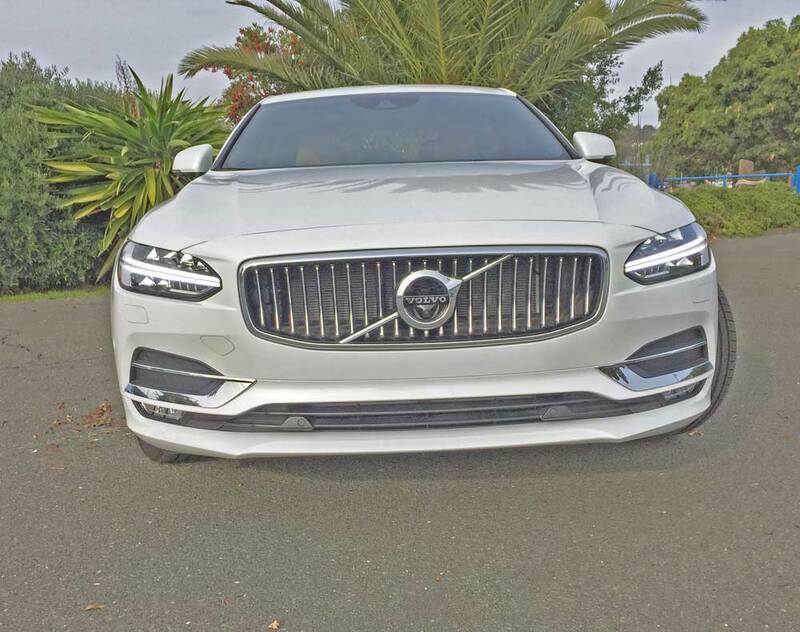 The 2019 Volvo S90 displays a sleek aerodynamic form from stem to stern, hunkered down in a low, wide stance from both a frontal and rear perspective. Up front, the wide inwardly curved grille with its vertical slats and prominently placed Iron Cross logo is flanked by the iconic “Thor’s Hammer” headlamps, with a body-wide lower and side port air intakes, and diffuser hint at the car’s potency nestled beneath the sculpted hood. The profile generates a coupe-like image, with the “B” and “C” pillars blacked out, enforcing the overall aerodynamic effect, with the windscreen arcing gracefully to the curved roofline, culminating in a short deck with an integrated decklid spoiler. The wide rearend cuts back inwardly sporting a short overhang. 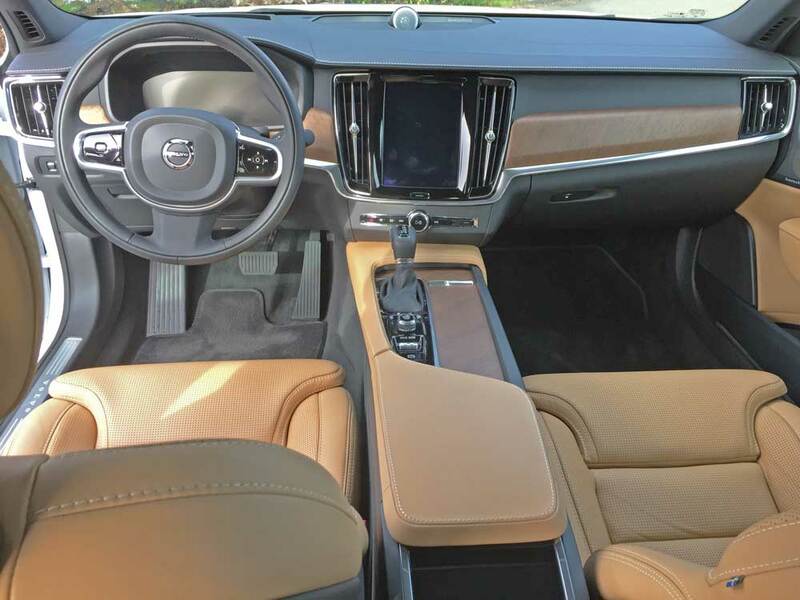 My test S90 T6 AWD came in Inscription trim, wearing a Crystal White metallic exterior finish, with a Tan and Charcoal interior highlighted by Linear Walnut inlay trim accents. The base sticker was set at $54,360., with the final count and amount rising to $71,480., after factoring in the $5,100 Inscription Package, other optional fare and Destination charge. 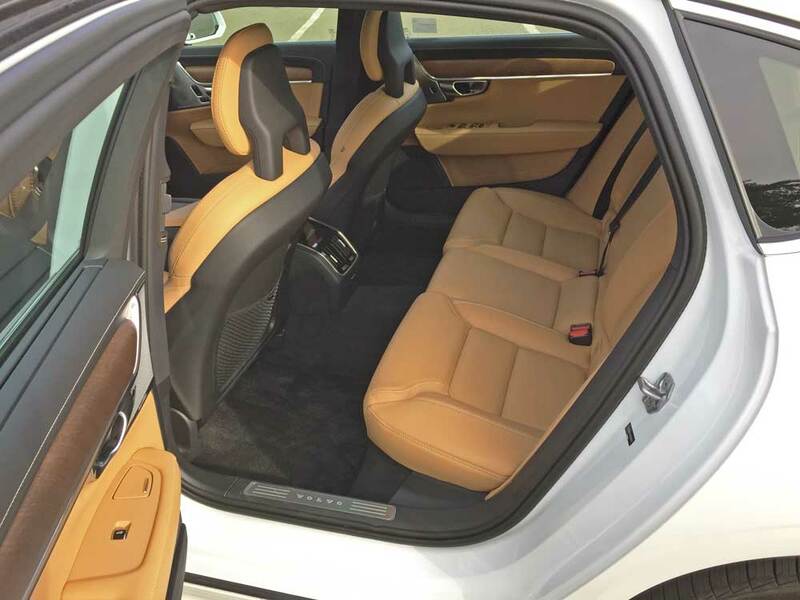 The S90 T6’s cabin serves up anything but Spartan surroundings, the Inscription upgrade delivers a suite of the most desirable luxury features available such as Nappa leather upholstery, walnut inlays, heated and ventilated front seats with power-adjustable lateral supports and lower cushion extensions, power sun shades for the backlight and rear door windows, four-zone climate control, LED headlamps with automatic high-beams, and more. An Advanced Package adds many high tech safety and driver assistance features, and the Bowers and Wilkins Premium Sound System turns the cabin into a concert hall. 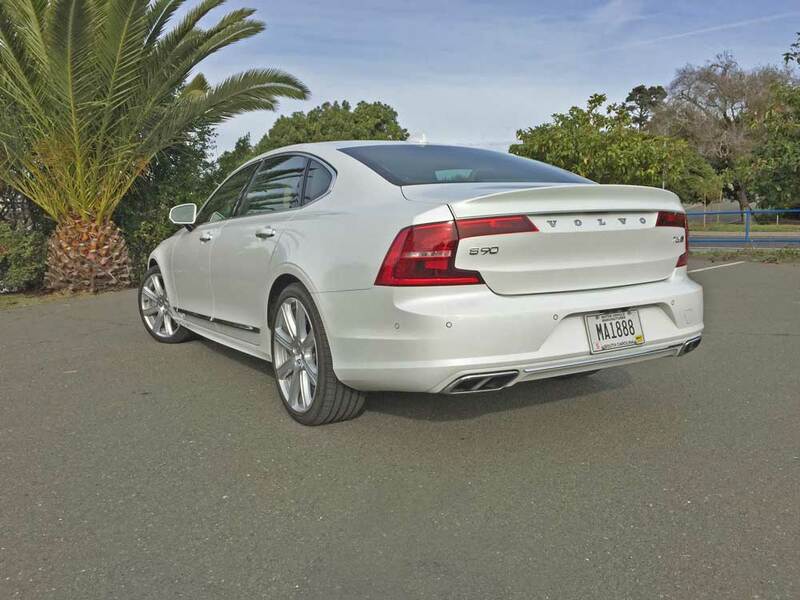 The ride and handling characteristics of our S90 T6 Inscription test car were mixed – extremely smooth and comfortable on ideally paved surfaces, but firm, bordering on extremely firm on irregular, worn surfaces, despite the Premium Rear Air Suspension option. 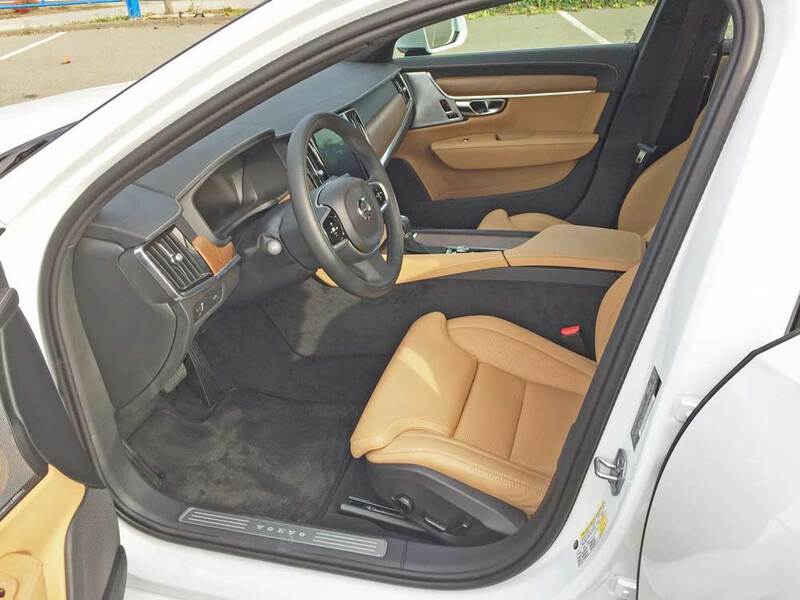 A contributing factor was the optional 20-inch alloy wheels. Steering provided a direct on center feel, but seemed to be on the light side. Braking was exemplary with no virtually no fade following spirited scenarios. Keep in mind that this latest iteration Volvo S90 T6 sedan is intentionally more focused on luxury than sport. The S90 T6 Volvo continues to carry the torch for stellar safety features, while advancing its design execution to a much higher degree than before. The level of sumptuous luxurious ambience has also been elevated to rival competitors in its class. All in all, the new Volvo S90 is truly an expression of satisfying contemporary Scandinavian luxury at a reasonable price. Engine Type and Size: 2.0-liter, DOHC, 16-valve Supercharged and Turbocharged in-line four-cylinder with integrated (SFI) ignition control system and Direct Injection. Transmission: Eight-speed Geartronic automatic with Stop/Start feature and Adaptive Shift. Drive Train: Transversely mounted front engine / AWD with Instant Traction. Suspension: Front -Short/Long Arm Double wishbone, coil springs, hydraulic shock absorbers, stabilizer bar and Air Suspension System. Rear – Integral axle with transverse composite leaf spring, hydraulic shock absorbers, stabilizer bar and Air Suspension system.